Arch Crown - Optical Tags And Labels. Promotional Supplies For The Optical Industry. 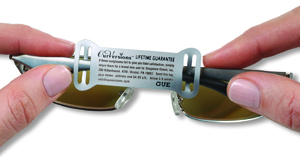 Op-Tags™ are the ‘original’ slip-on plastic optical frame price tag. Beautiful optical displays start with Arch Crown Op-Tags™. No messy glue residue... easy-to-use... durable... neat and safe. Plastic Op-Tags™ last longer than flimsy paper tags that can be torn off. Turn browsers into buyers with Arch Crown promotional Op-Tags™ and static cling vinyl labels. 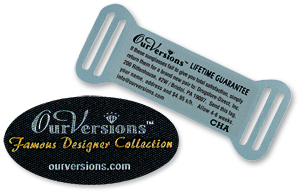 Pre-printed promotional Op-Tags™ and labels are designed to bring special attention to eyewear and sale merchandise. Promotional Op-Tags™ and labels are a cost-effective method of stimulating sales... it’s the professional way to price and promote frames.